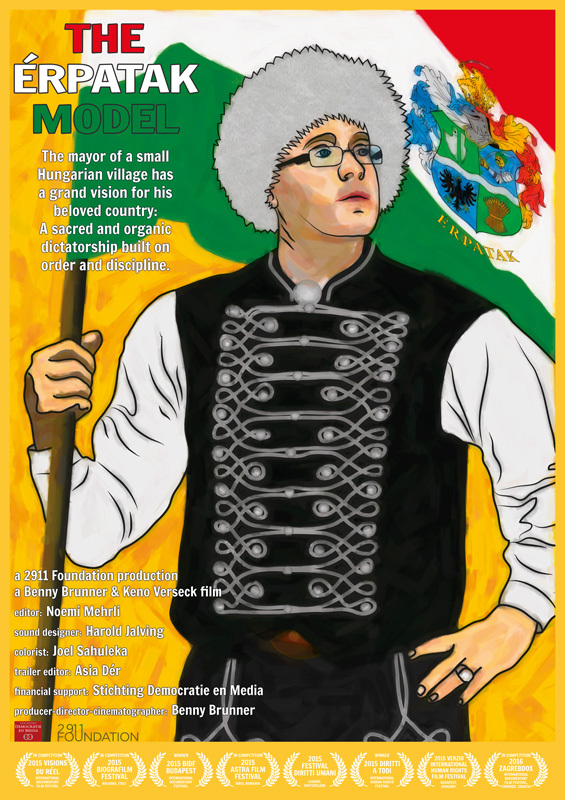 The film portrays Mihály Zoltán Orosz; the hyper-energetic and ultra-nationalist mayor of Érpatak, a village of 1,750 inhabitants in Eastern Hungary. Mayor Orosz is possessed by delusions of grandeur and the need for control. He divides the villagers into “builders” and “destroyers” – supporters and opponents of his Érpatak Model. The mayor’s ultimate goal is the creation of a “sacred and organic dictatorship” where the supreme values are order, discipline and a fighting spirit as they unite the community on a local level and the nation on a country level. Festivals: World Premiere at Vision du Réel International Documentary Film Festival, Nyon, Switzerland, April 2015. Biografilm Festival, Bologna, Italy, June 2015. BIDF Budapest International Documentary Festival, September 2015. ASTRA Film Festival, Sibiu, Romania, October 2015. Diritti Umani, Lugano Festival, Switzerland, October 2015. Diritti a Todi, International Human Rights Festival, Italy, October 2015. VERZIO International Human Rights Film Festival, Budapest, November 2015. ZagrebDOX, Zargreb, Croatia, February 2016. One World, Prague, Czech Republic, March 2016. Crossing Europe FF, Linz, Austria, April 2016. BIFF, Bergen, Norway, International FIlm Festival, September 2016. One World Human Rights Film Festival, Bratislava, Slovakia, October 2016. Romani Film Festival, Budapest, Hungary, October 2016. Prizes: BIDF Budapest International Documentary Festival, September 2015 - winner of the main prize in its category. Diritti a Todi, International Human Rights Festival, Italy, October 2015 - winner of the festival big prize.